Harajuku girls in colorful vintage fashion featuring floral coat, denim jacket, velvet dress and more. Saaya Hayashida – the producer of the Japanese fashion brand Swankiss – on the street in Harajuku with a guy in a tiger jacket and retro sneakers. Harajuku girl in cute style featuring an Amoyamo studded beret, heart-shaped Angelic Pretty bag & saddle shoes. 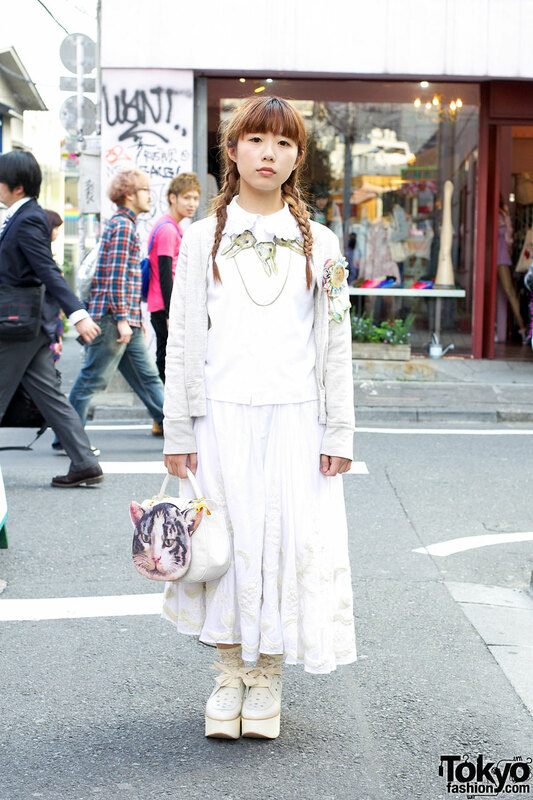 19-year-old L’Arc-en-Ciel fan in Harajuku wearing a rabbit necklace, several cat-face graphics and Tokyo Bopper platform shoes. 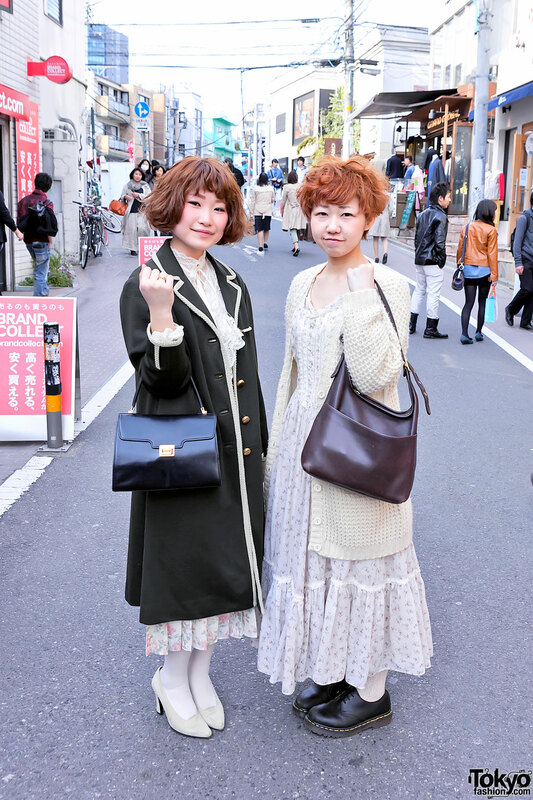 Two Japanese girls with cute short hairstyles and vintage-inspired fashion on Cat Street in Harajuku.